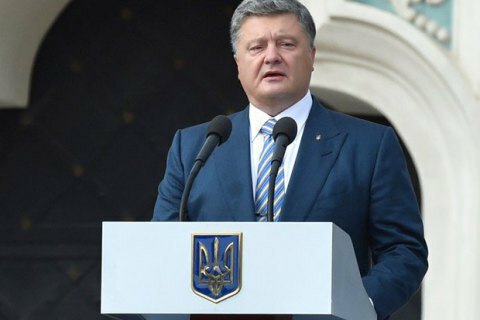 President of Ukraine Petro Poroshenko has congratulated Donald Trump on his victory in the presidential elections. The president conveyed his congratulations during a meeting with US Ambassador Marie Yovanovitch on 9 November, presidential press service reported. “My sincere congratulations to Donald Trump on being elected President of the United States and to the friendly American nation on democratic expression of will. This is a symbol of true democracy when nobody knew the results of the elections until the very last moment. And this is a feature of true democracy always professed and promoted by our reliable and strategic American partners and friends,” the head of state said. Poroshenko expressed hope that when Trump resumes work of the Ukrainian-American Strategic Partnership Commission, and invited him to visit Ukraine. Poroshenko also welcomed the re-election to the US Senate pf members of the "Ukrainian corps". He said the re-election will facilitate the effective coordination and cooperation with the US Congress.